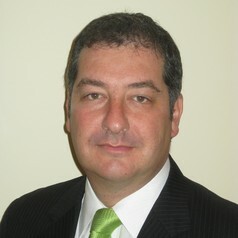 Eric Windholz is a Senior Lecturer and Associate with the Monash Centre for Commercial Law and Regulatory Studies. Eric's research focus is regulatory theory and practice, or what he describes as the science and art of modern regulatory practice. Through this research, Eric explores how regulation, public policy and the law intersect to inform regulatory regime design and implementation, particularly within federal systems. Eric’s research has been applied to the examination of regulatory regimes in important social and economic domains including occupational health and safety, disability services, sport and the environment. Eric brings to his research a unique combination of perspectives born from more than 25 years experience working, first, in heavily regulated industries (in Australia, Hong Kong and New York), second as a regulator of industry and, now, as an academic specialising in regulatory theory and practice. Eric has published widely in general law journals and specialist journals in employment and business law, public policy, public administration, health and safety policy and practice and labour history. A selection of Eric's publications can be found at http://ssrn.com/author=1997836.